Everyone talks about their scrap stash, but what about your block stash? 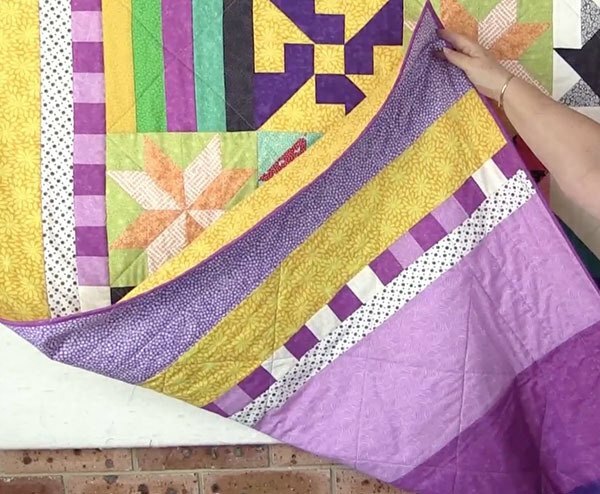 All of us who are dedicated quilters know what it’s like to have the odd quilting block in the stash. 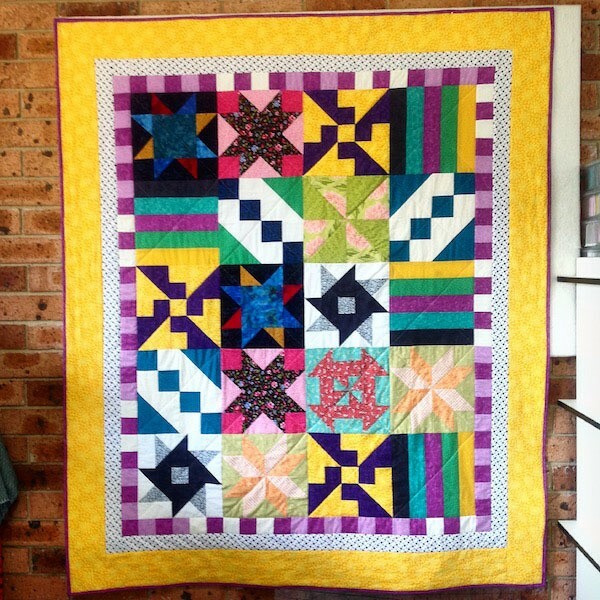 How often have you created one or two blocks to see if you really like them and then decided not to use them, or maybe you just wanted to practice making a couple of blocks before creating your final masterpiece. 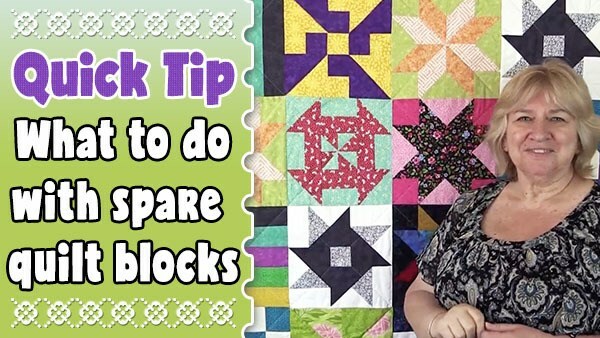 We have quite a number of spare blocks, probably more than most quilters, because of our Quilting Blocks channel. 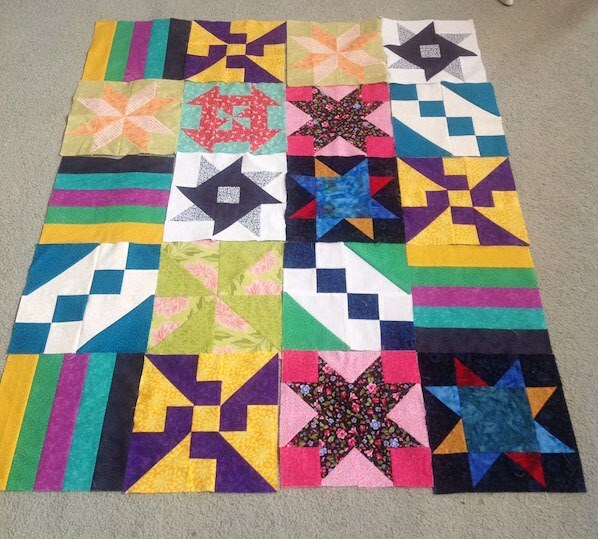 We create prototypes for each tutorial and usually never seem to get the time to keep making enough blocks for a full quilt. It was getting to the stage where we had a big bag of blocks of all different sizes, colors and styles, and we didn’t know what to do with them. We were chatting over a cup of tea one day when we had an idea. 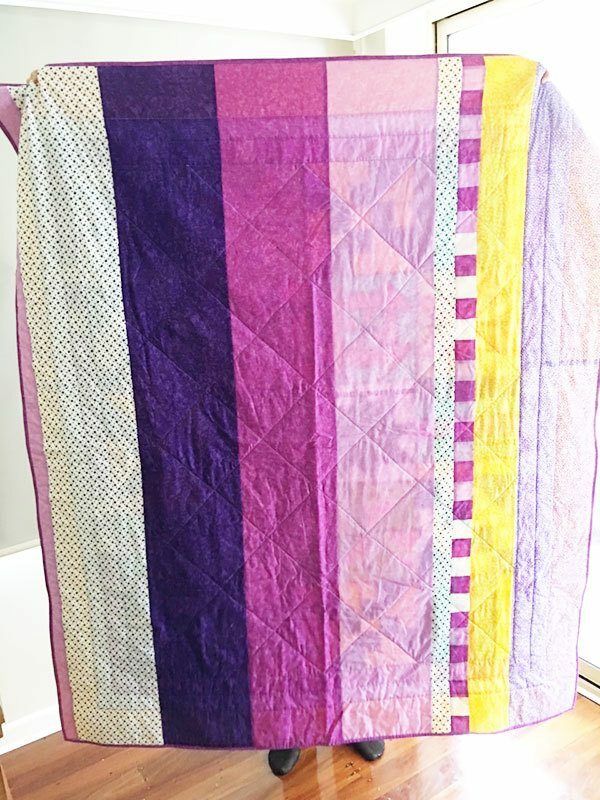 Why not create a quilt using all of the 10″ squares we have. Now none of these blocks related in any way, but we decided to give it a go just to see what we could come up with. So we placed the blocks out on the floor to see what it would look like. We discarded anything that really didn’t seem to fit in, but the more we played with the blocks, the more it came together. This is the final result. We added some checkerboard strips that we had created for another project and then two borders – one with a black polka dot and one very striking yellow border. We finished it with a purple binding. The back was fun to make as we just used fabrics we have in our stash that matched the blocks on the front and sewed strips together until we reached the size we needed. This is the back. Excuse the wrinkles my grandaughter Demelza had just unpacked it when I asked for a photo of the back.